I discovered L'Officiel at my first Gene convention in Orlando last year. I had a table in the sales room next to a very nice lady named Val. Her table was covered with vintage L'Officiel magazines. I was immediately obsessed. She let me look and drool all over them. I wanted to buy them all! Unfortunately, I didn't have enough money or room in my suitcase. I ended up buying one from 1954. A few months later, someone on one of my favorite doll boards (I.C.O.G. or The Studio Commissary) posted a link to archived L'Officiel magazines. I was in vintage fashion heaven! The only drawback was I couldn't save the pictures for my own references. It was killing me! I even tried photographing the pictures on the computer screen with my camera. What a waste of time that was! After googling how to copy a picture in Adobe Flash Player, I finally figured out how to do it. It involved photo editing software, lots of time and itunes to listen to while saving the pictures. I have archived tons of fashion ideas and can't wait to make as many of them as possible. It was so hard deciding what outfit to make first. 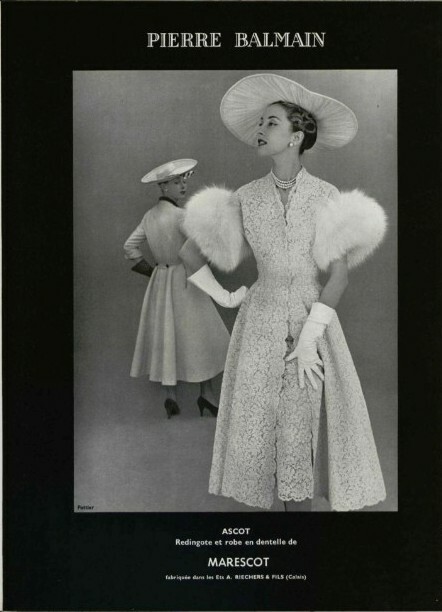 I finally chose a beautiful Pierre Balmain creation from 1953. The biggest challenge for me was replicating the scalloped lace edge on the sheath and coat. I ended up clipping the edge of some matching lace trim and sewing it on the edge of everything. I was very happy with the way it turned out. 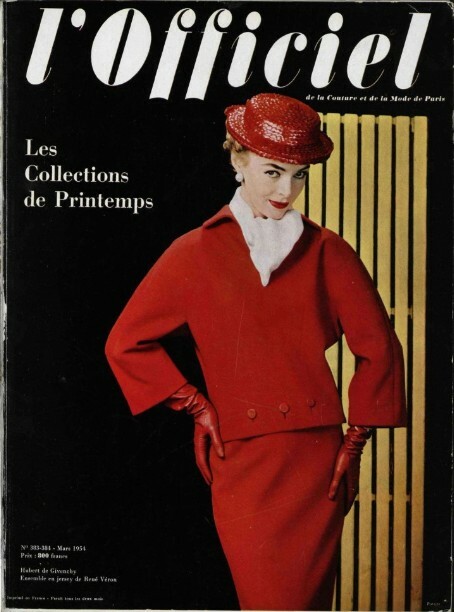 I have another beautiful outfit from L'Officiel that I plan on starting soon.